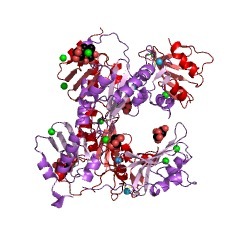 This domain is found at the C-terminus of the Fancl protein in humans which is the putative E3 ubiquitin ligase subunit of the FA complex (Fanconi anaemia). 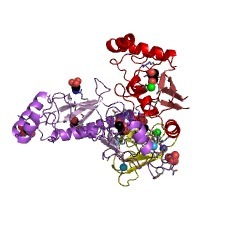 Eight subunits of the Fanconi anaemia gene products form a multisubunit nuclear complex which is required for mono-ubiquitination of a downstream FA protein, FANCD2. There are 701 FANCL_C domains in 701 proteins in SMART's nrdb database. Taxonomic distribution of proteins containing FANCL_C domain. This tree includes only several representative species. The complete taxonomic breakdown of all proteins with FANCL_C domain is also avaliable. Click on the protein counts, or double click on taxonomic names to display all proteins containing FANCL_C domain in the selected taxonomic class.